Yes, that’s right. Stampin’ Blends Are Now Available! Yipppee, the day you’ve been waiting for is finally here. There are so many options available with the new Stampin’ Blends it’s hard to know where to begin, but I’ll try to lay it all out for you. Join Stampin’ Up! and get the BEST Deal. 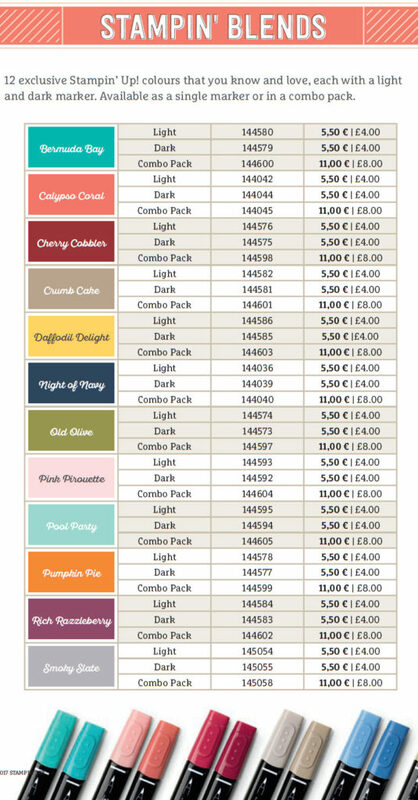 All the Stampin’ Blends, Momento Ink Pad & Thick Whisper White card stock, plus £10 to spend on any coordinating embellishment – just £99 and no shipping! Plus at least 3 months 20% discount (pre VAT) off everything else you purchase. Plus you get to hang out as part of my Royal Stampers team!! 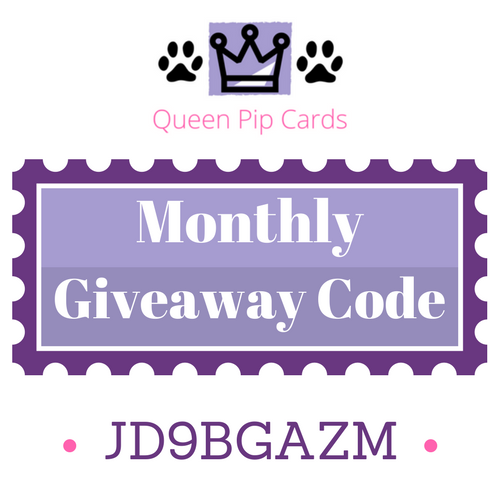 Leaving you up to £10 to spend on some matching card stock or embellishments! You choose up to £130 for just £99 with an ongoing discount of 20% (pre VAT) for at least 3 months!!! Yep – I want that, where do I sign up? Click Here to Sign Up and purchase your Starter Kit now. Or, grab a bundle and start playing. 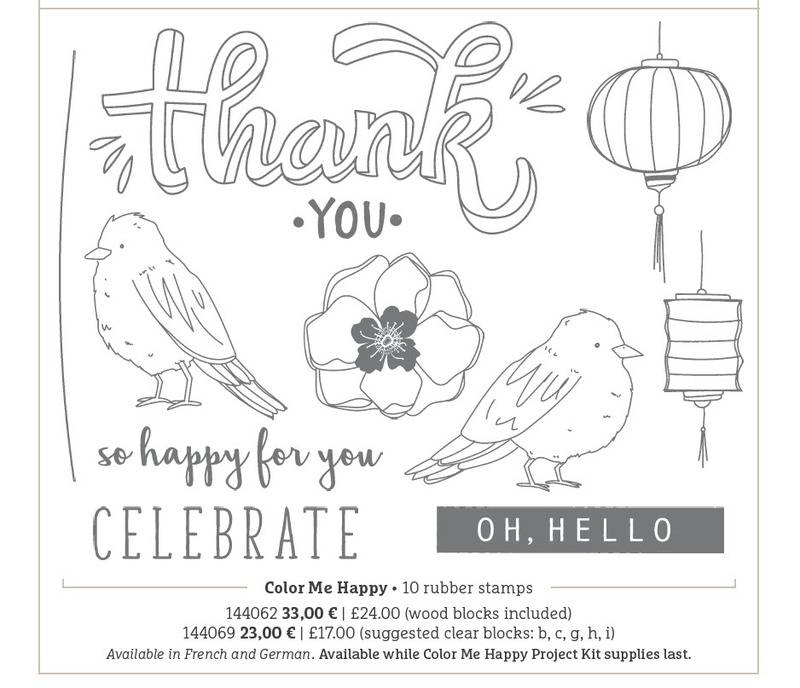 Buy the fabulous limited edition Color Me Happy Stamp Set and Project Kit and add the Stampin’ Blends you need. The stamp set & project kit are WHILE STOCKS LAST so grab yours today for a great introduction to blending and our new alcohol markers. It really is a luxurious set, those birds are so cute and that big Thank You will come in very handy – in fact you may have spotted it on my Blog Hop card on Saturday’s post! I love hearing from you. If you have a question or thoughts to share about the launch of the Stampin’ Blends or this post, please, COMMENT HERE. I truly love these new Stampin’ Blends, they flow and blend easily. 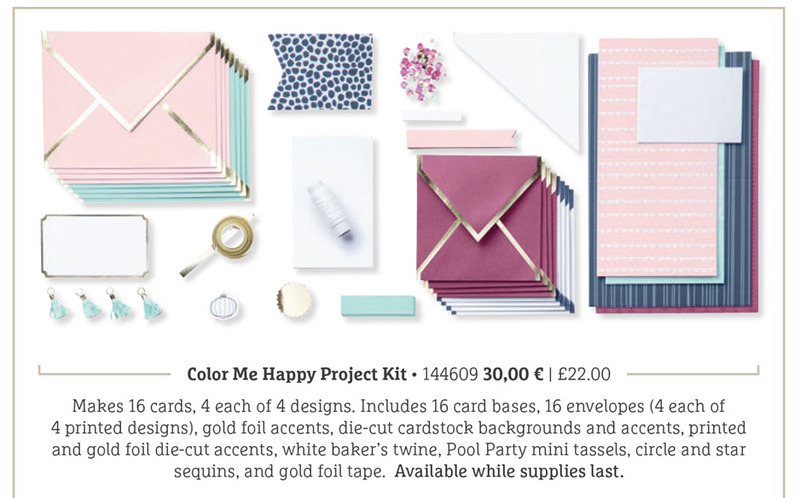 They come in all my favourite colours, and the bundle stamps and kit are gorgeous and easy to put together. I know you’ll be seeing a lot more blending in the future! Can you tell I’m excited that the Stampin’ Blends are now available? Just a little!